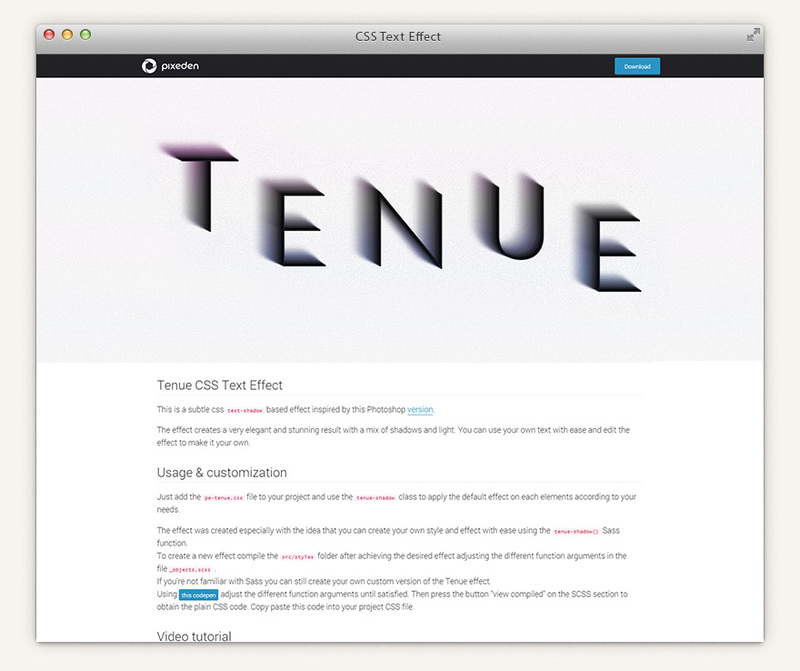 A CSS text-shadow text effect with editable variables. This Tenue effect creates a very elegant and stunning result with a mix of shadows and light. You can use your own text with ease and edit the effect to make it your own. FEEDBACK: If you have issues, recommendations, please contact us by email.